Not only is NUCLeUSTM already a flexible, easy-to-use video-over-IP platform that streamlines the distribution of data across hospital networks – now a family of smart applications add valuable benefits to real-time image processing and management, to enhance this already powerful solution. Three apps are already available, licensed to hospitals on a per-operating room basis. And since NUCLeUSTM is built around open APIs, third-party developers have the opportunity to create new applications of their own. NUCLeUSTM is a vendor-neutral platform. This allows all apps to be used in conjunction with stock endoscopes from a wide range of manufacturers. Integrators and clinicians can thus enjoy the benefits of using NUCLeUSTM smart apps without being tied to specific hardware. The orientation of video from a handheld surgical endoscopic camera shifts with movements of the surgeon’s hand position. This can make it harder for clinical staff in the OR to accurately interpret on-screen images when the horizon keeps changing. 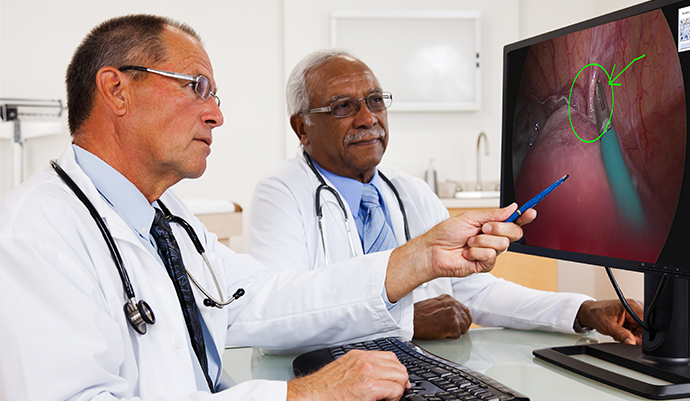 The Rotation Correction app ensures that video displayed on a connected monitor remains stable and correctly oriented, irrespective of the endoscope’s rotational movements. The horizon can be re-set at any time via the NUCLeUSTM user interface, or from a button on the camera head. Even with today’s high-resolution endoscopes and surgical cameras, it can be hard for surgeons to accurately see the fine details of blood vessels and fine vascular structures. The Vascularisation Filter app digitally combines natural colour images with the output of an automated pattern recognition algorithm that’s tuned to identify structure and colour combinations that are typically indicative of vessels and veins. These enhanced images can highlight small blood vessels, providing surgeons with a clearer view of hard-to-see anatomical structures. There are frequently situations in the operating room where a surgeon seeks the opinions of another consultant. Traditionally, this has meant inviting colleagues into the OR to view a procedure at first hand. The Telestration app allows the remote addition of visual annotations to camera images. A colleague viewing real-time video from the OR on a networked PC can add coloured freehand lines and preset shapes that are superimposed over the live video stream. These annotations can be viewed back in the OR with no perceptible delay, assisting the surgeon with accurate decision making. The annotated images can also be broadcast to students in a lecture theatre as a valuable teaching tool. Our NUCLeUSTM video-over-IP platform streamlines surgical workflow in today’s integrated digital operating room. 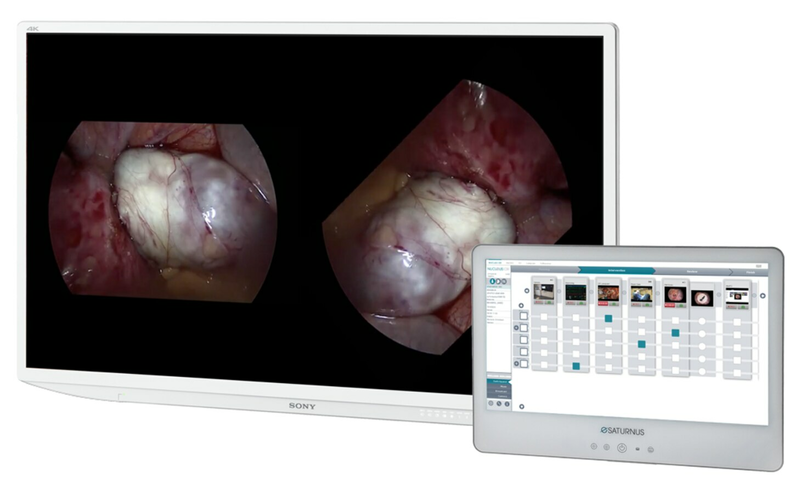 Surgeons and clinical staff can manage, route and display images from a range of sources with up to 4K resolution, in 3D or 2D. Driven by an intuitive touchscreen interface, NUCLeUSTM supports optimised task performance for surgical teams and enables more efficient decision-making.